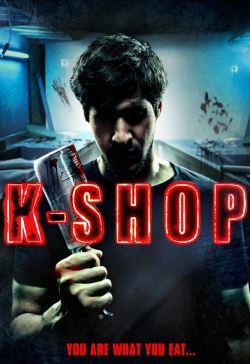 K-Shop is a gritty urban Sweeney Todd inspired horror set in a British Kebab Shop plagued by binge drinking culture. After his father is killed in an altercation with drunken thugs, Salah's fate is sealed in a fight with an angry customer. With a dead body on his hands the novice kebab shop owner turns vigilante disposing of the body in the one place he knows best...the kebabs. Salah watches gullible customers devour the new flesh kebabs and seizes the opportunity to seek revenge on abusive drunken binge drinkers, killing off those he deems punishable.